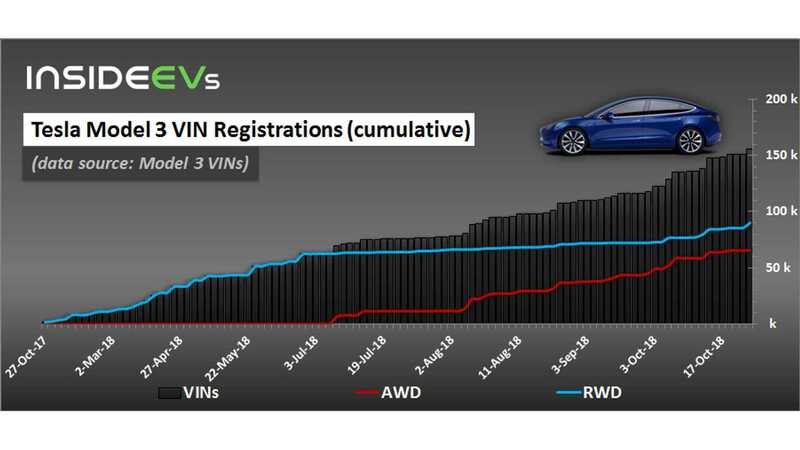 Tesla continues the high pace of registrations of VIN numbers for the Model 3 with the latest batch of 4,500 rear-wheel VINs. 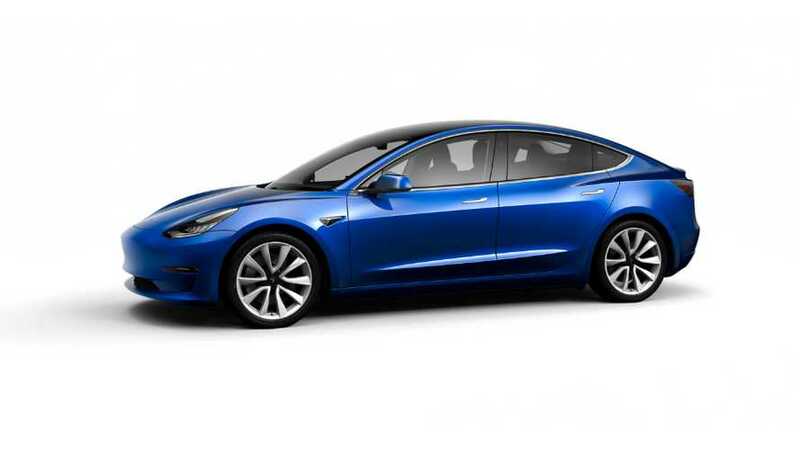 It's anticipated that all of those are for new Mid Range Model 3 that is expected in 6-10 weeks. So far, Tesla registered 156,129 VINs, including 38,221 in just 22 days of October, while in the entire third quarter it added 61,511. Assuming more than 100,000 Model 3 produced, the advantage between VIN numbers and production is approximately 50,000. It seems reasonable that all those new RWD VINs are for the Mid Range, because the other two versions are AWD (the Long Range rear-wheel drive is not available any more..at the moment). As it turns out, dual motor versions no longer outpace single motor versions, so the production ratio must be close to 50/50.